I love the ¡Avancemos! curriculum for both books 1 and 2. I was fortunate to teach with that curriculum for 5 years and over time developed a pacing guide that worked for me. I’m happy to share that with you all, just click on this link to download the pacing guide for free. This pacing is what has worked for me at a large Title 1 public high school in Arizona, USA, with class sizes of 35 – 40 students, on 55-minute daily class meetings. 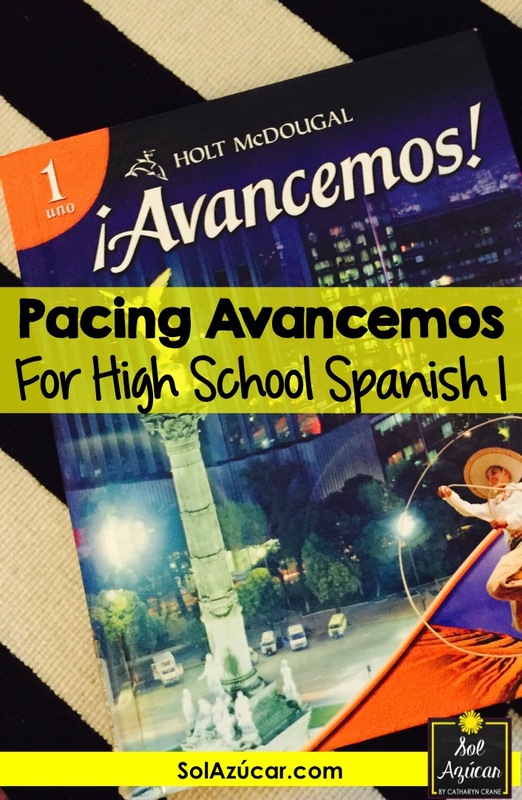 My pacing is for a first year Spanish class (novice level), with predominantly 9th grade students. I hope you can use it to inspire your own planning. 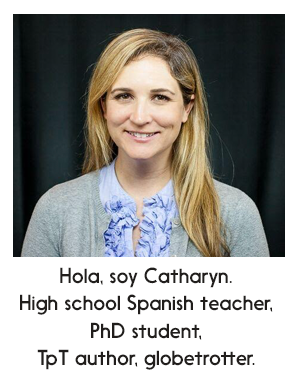 I try to offer different summative assessment options each chapter – a mix of quizzes and tests (which incorporate a reading, writing, and listening), as well as projects (which incorporate interpersonal and presentational speaking, listening, and writing). Personally, prefer speaking assessments at this level to be formative and informal. The only summative speaking assessments I use are in the midterm and final exams. As a new teacher, I remember getting wrapped up in the "how much do I need to get through" issue, and more recently have really changed my thinking on that. I would argue that we should take our time to be sure that our students meet our learning goals, acknowledging that pacing will be different for each teacher and each class. I absolutely believe it's great to have rough guidelines and to keep the class feeling like you're moving forward, not just regurgitating the same concepts over and over, but also, I don't ever want students to feel rushed or pressured to memorize just for the test, like they're racing through the class only to retain nothing. It is a fine balance! Would love to hear your thoughts and details on how you pace the ¡Avancemos! Book 1 text for beginning students. Note that this pacing guide and any of my resources relating to the Avancemos textbook are my own original ideas and materials. They have in no way been reviewed or endorsed by HMHCO.